Lighthouses were often time located in remote areas and as such had no access to city services such as libraries, opera houses, entertainment, etc. that most people enjoyed who lived in a town or city. As light keeping was a lonely profession in most cases supplies were brought to them by lighthouse tender ships. 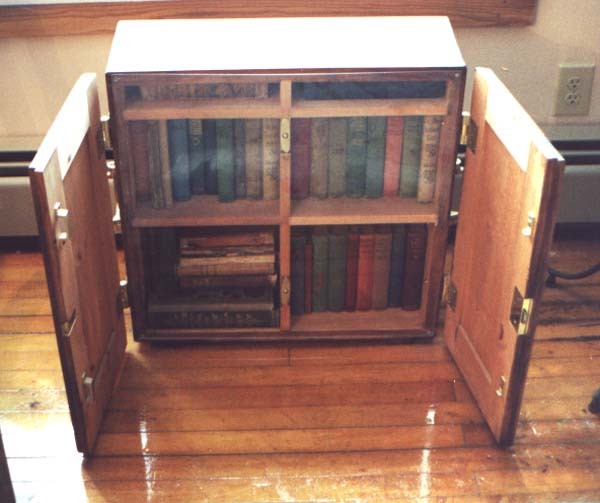 One of the items the tender supplied was a library box on each visit as pictured to the left. Library boxes were filled with books and switched from station to station to supply different reading materials to the families. Read more about the libraries here.